It is traditional in Spain, Italy and other Catholic countries to stage elaborate religious procession on Good Friday and Easter. 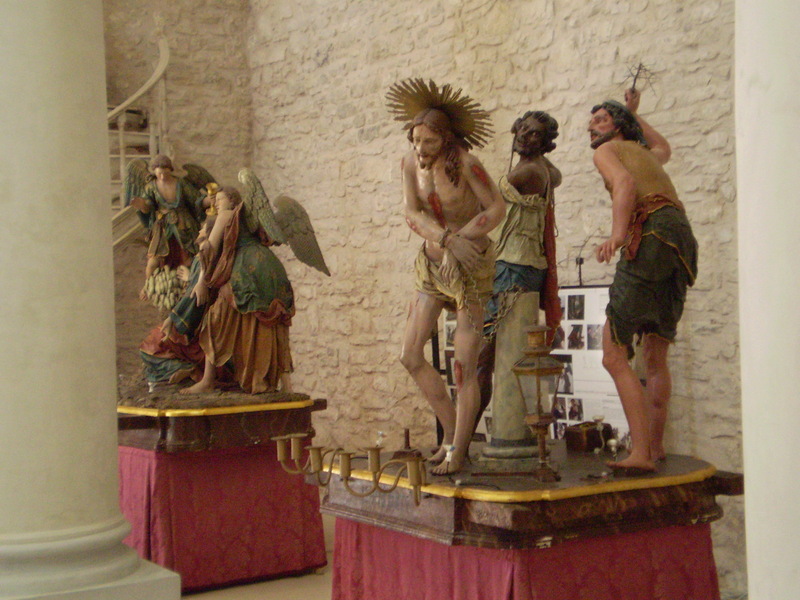 While in Erice, a village on the Western tip of Sicily, I found a Museum of church objects that had a series of statue used to commemorate the Passion story of Jesus on Good Friday. 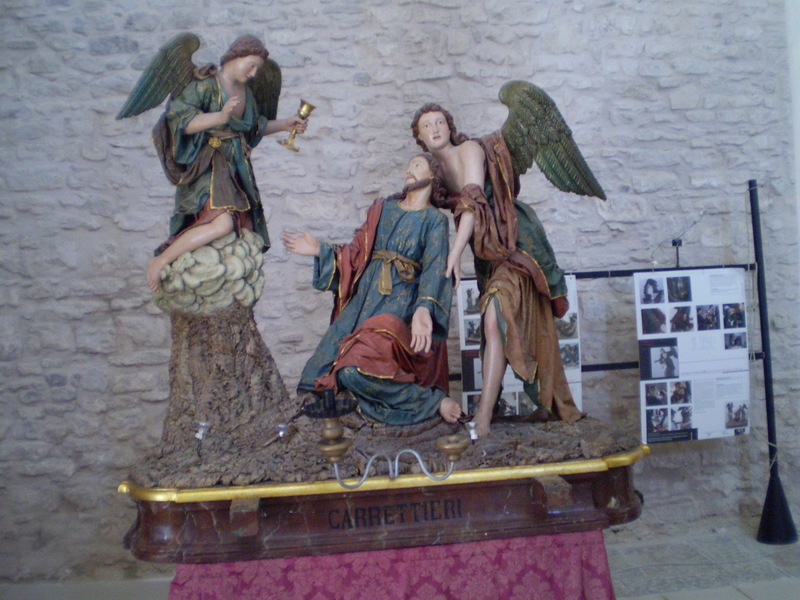 These large, almost life-sized scenes were carried in procession through the town. I actually found the scenes to be too violent and grotesque. If the works were meant to horrify the faithful and drive them to repentance, then they probably worked! I only took a few pictures and honestly didn’t spend too long with those incredibly scary procession floats.